What Public Relations Demands In 2016? To some marketers, Social Media Marketingis just a buzzword with no significant meaning. But there are those out there, who after noticing the benefits of SMM clearly suggest it to be one of the most important tools in the current day marketing. Although, many pundits suggest that this craze for Social Media Marketing would die out soon, but till that happens, marketers are spending nights thinking of how to make their Social Media appeal more powerful. 2. Marketing Costs: As per HubSpot, 84% marketers discovered that working for 6 hours per week on gives a significant increase in the traffic to your website. Advertisement options on Twitter and Facebook are also cheap, so you would always be within your budget. 3. Customer Insights: With increased interactions on Social Media, your knowledge of your customer’s tastes and perceptions gets bigger. This indeed helps you in targeting them better. 4. Brand Loyalty: Although of very uncommon knowledge, yet Social Media does lead to an increased Brand Loyalty. According to a research done by Convince and Convert, around 53% of customers who follow a brand remain loyal to it. 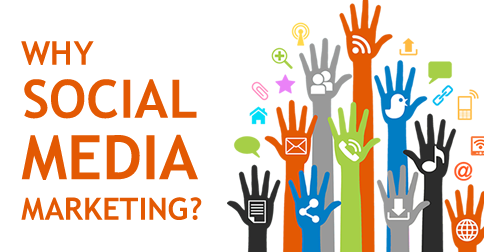 Hence, Social Media Marketing gives a lot of opportunities only if you know how to use this tool effectively.